Overlooking the pristine waters of Palmilla Bay, the new Club Casitas are located within the private, gated community of Espiritu Del Mar and just steps away from Club Espiritu, Mexico’s finest private fitness club, and the new Espiritu Park. 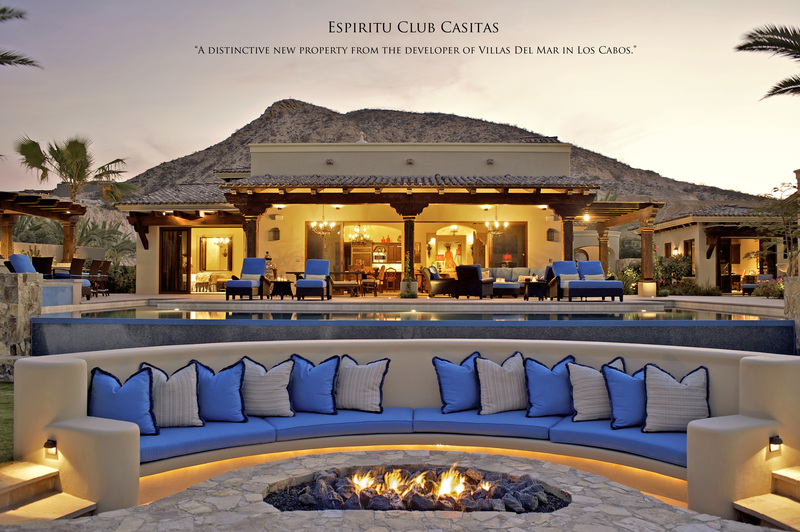 Club Casita 6 is a single-story version of Del Mar Development’s Casita, the most popular resort-style residence in Los Cabos. Each Club Casita offers the ultimate in luxury living with elegant interiors opening to a spacious outdoor terrace and courtyard, ideal for entertaining and relaxation. Club Casita 6 is a four bedroom, ocean- view home with a spacious entry courtyard and a sun-deck with private infinity edged pool. An artisans kitchen opens to a lofty great room, dining room and spacious, shaded terrace. The third and fourth bedrooms are detached guest suites, one with its own ocean-view terrace. Each Club Casita features a single car garage and a shaded trellis for golf cart parking. Conveniently located at the heart of the Espiritu Del Mar community, the Club Casitas offer the utmost in privacy while providing easy access to the neighboring Club Espiritu, Espiritu Park and the private, members-only beach club, Club Ninety Six. Through the gates of Espiritu Del Mar, a different kind of living awaits amid one of the most incredible settings in the world. You will discover endless ways to enjoy an active lifestyle, connect with family and friends and embrace the natural beauty that surrounds you. This innovative community features Del Mar Development’s signature craftsmanship, unmatched amenities package and superlative service. Please contact me for more information on the last remaining Club Casita before it’s gone.